Sometimes you go to the store to just pick up milk. That’s all I went in Stew Leonards for, I swear. After mildly filling my cart and almost checking out I was greeted by a sample just before exiting. What was the sample? Stew Leonard’s Mac and Cheese and in one bite and I knew I couldn’t get to the checkout counter without picking up one. It was that good. It was that cheesy. It was just that easy. This Betty didn’t have to cook dinner last night. 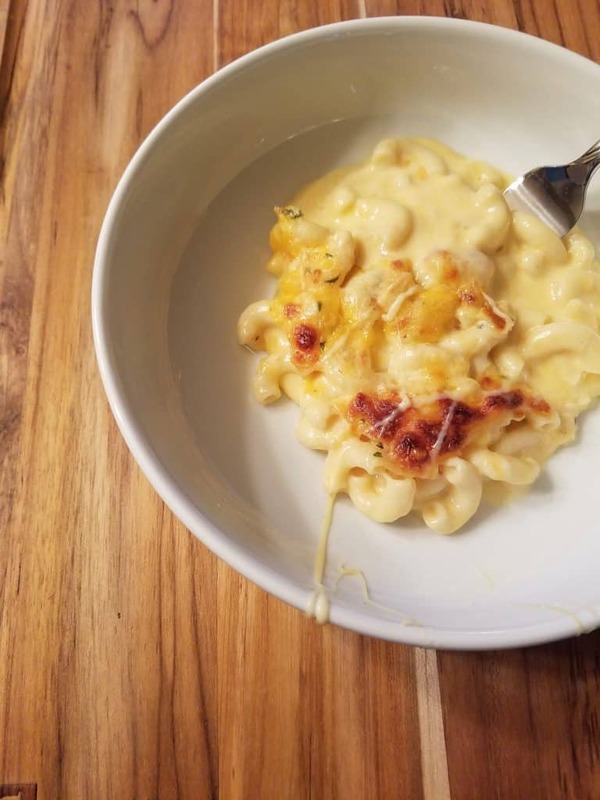 The pros: Dreamy mac and cheese that doesn’t skimp on the strings when it comes out of the pan. It’s not the cheap bottled stuff. It’s real cheese. Pasta is tender without being mushy. The cons: Package should have recommendation on how to prepare. I improvised, assumed 350F for 20 minutes and then broil the top until bubbly. It was warm enough to eat out of the toaster oven. Time will vary depending on the weight of your product. The verdict: For $7.99 per pound it’s not a cheap dinner, but if you are making it yourself you will find that you’ll be spending about the same around per pound for a solid homemade variation using real cheese. I absolutely missed having directions, so I had to improvise. Toaster oven worked well in reheating this dish at 350F. After putting it through a brief broil to get the cheese on top to bubble, I cut a piece off to enjoy. I didn’t even bother to clean up the plate pictured in the review. The cheese was that joyously stringy. 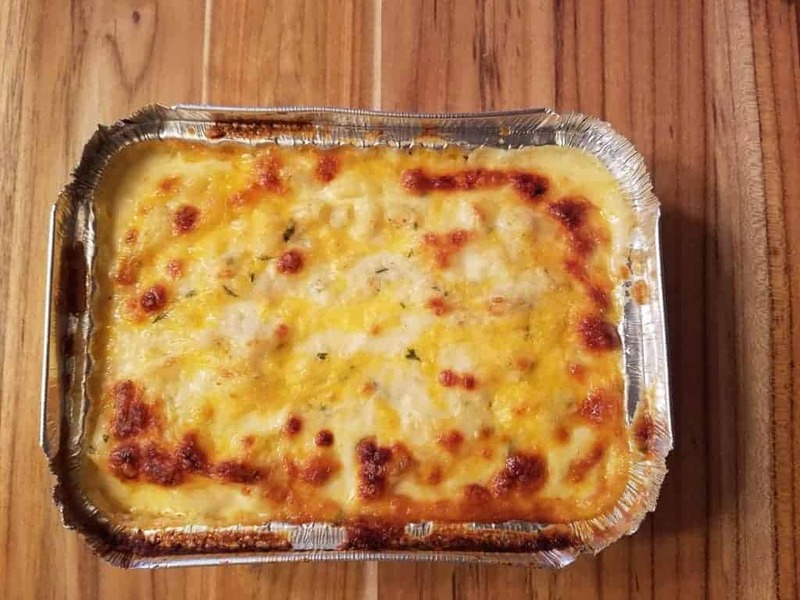 Aside from the melty ooey gooey cheese the pasta didn’t lose its texture. It wasn’t al dente and it wasn’t mush. It was a nice texture. The saltiness came from the cheese. 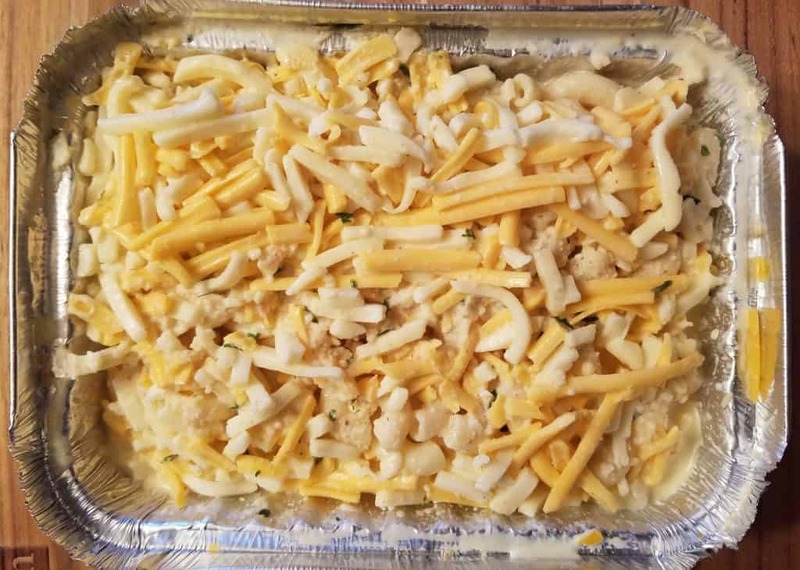 The broiling made the cheese on top a slightly different texture than the rest of the cheese. If you are going to broil the top, don’t walk away. There is a fine line between browning and incineration. With a lightly browned top it was hard to stop at just once piece. Easy dinner. Other than the plate I ate off of, there were no dishes to speak of. Would I buy this again? Yes. Making real mac and cheese takes time. Time is not something that most of us have a lot of. It tastes great, is super easy, and involves almost no mess. What’s not to love about Stew Leonard’s Mac and Cheese? I can’t think of much. 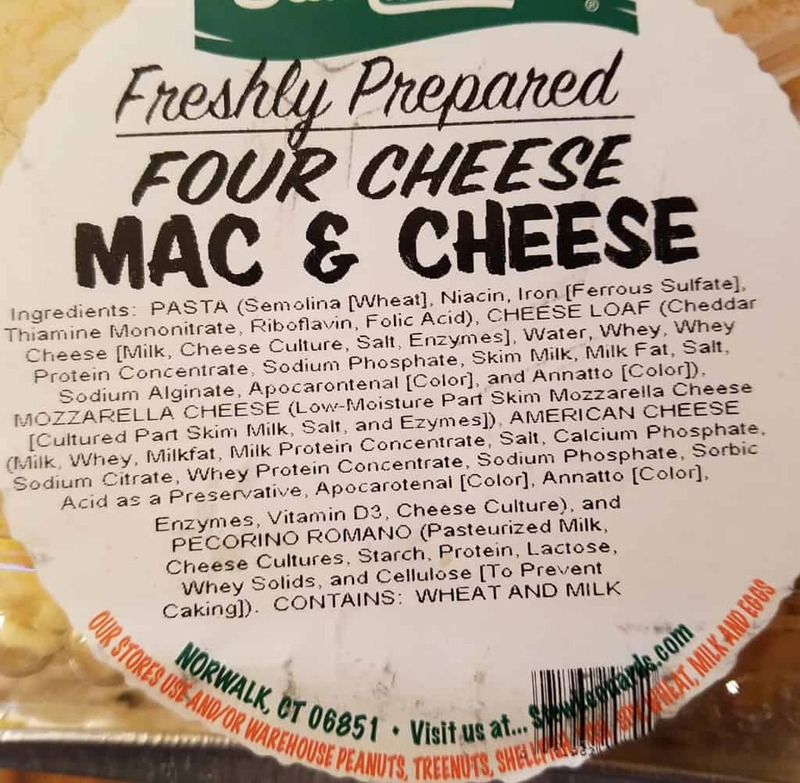 Want to see more items I’ve reviewed from Stew Leonard’s? Click on Stew Leonard’s Food Reviews & Blog Posts for an alphabetized list. I can’t believe there were no instructions. That’s annoying. Such a little detail, but unless you like cold mac and cheese it’s important.